Systemic lupus erythematosus (SLE) is a chronic autoimmune disease associated with high mortality rates. This study aimed to describe the main causes of death in a case series of SLE patients attended in a single center in Colombia. We conducted a retrospective review and analysis of records of SLE patients who died between January 2011 and June 2017. We extracted the main causes of death and described variables associated with this outcome as well as variables associated with the disease and its treatment. From a total of 1776 patients with SLE, we identified 49 fatal cases (89.8% women, n = 44). The average age at death was 40.6 years (SD 17.4), and patients had a median of 4.5 years (IQR 2–8) of disease duration. 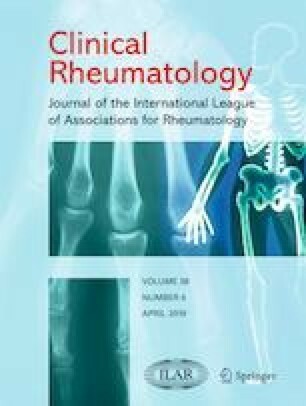 The main findings included lymphopenia in 44 patients (89.9%), biopsy-confirmed lupus nephritis (LN)—types IV and VI—in 38 (77.6%), catastrophic antiphospholipid syndrome (CAPS) in 8 (16.3%), and persistent hypocomplementemia (C3 and C4) in 8 (16.3%). The median SLE disease activity index (SLEDAI-2K) score at the time of death was 19 (IQR 11–39). The main cause of death was SLE activity and lupus-induced damage in 22 (44.9%) patients. The main causes of death included SLE activity refractory to immunosuppressive treatment, and nosocomial bacterial infections. The patients who died had persistently high SLEDAI scores, types IV and VI LN, associated antiphospholipid syndrome, and persistent hypocomplementemia, requiring severe immunosuppression and prolonged hospitalization.